Did you make a New Year’s resolution? How is it going? So far so good? Or was it wishful thinking? In the last several years the top New Year’s Resolution has been to get fit. I have watched for years as memberships in gyms sky rocket in January. It’s exciting to see unfamiliar, fresh faces to encourage the resolve and discipline in their new found joy to get fit. All of a sudden the machines you used regularly are not available due to the surplus of people now working out. No comment on the frustration there. My lonely running path becomes a social exercise route in the cold January mornings. They press on, but sadly the majority by March are nowhere to be found. Don’t be one of them! Why are we like this? We have great intentions but unable to turn that new one thing into a habit, a way of life. Perhaps our focus is misdirected. In my own power I can do a lot. While I have resolved to running extra miles and eating better to take off the unwanted muffin top, I don’t struggle with a work out routine or waking up early for zero dark thirty runs. I don’t like it but I do it. I can handle managing boys and crazy busy days that thrive on pressure and need. I can have dinner prepared, laundry done and be ready to welcome my husband home. But where I do struggle, where resolve is critical in order to make progress, deals with boundaries. Above all else guard your heart for it is the well-spring of life. Boundaries protect and guard your heart, which produce the life that can rush forth with love, nourishment and health. I struggle watching loved ones walk through difficult situations. I want to help them, pressing them on toward success. This is not necessarily a bad thing until boundaries are crossed in my marriage or with my boys. It is not healthy for them or for me when I take on what is their responsibility. In boundaries I need to be responsible for my actions and choices and not take responsibility for someone else’s actions and choices. My resolve in this is to glean not from my own flesh but from the One who’s power is greater than my own. 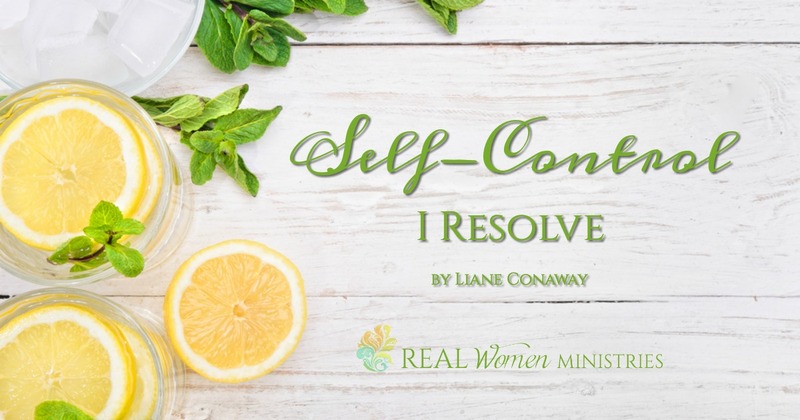 I am referring to the fruit of the Spirit of self-control. Galatians lists self-control as the last of the fruits. It is fitting that self-control would be listed last because it takes self-control to have love, joy, peace, patience, kindness, goodness, faithfulness, and gentleness. The word for self-control in the Greek is egkrateia, which means self-mastery, self-restraint, self-control, and continence. ‘Self’ may sound like it is about what is being done in our own power but on the contrary, self must be rooted in the Spirit. To have self-control means we restrain passions and appetites that are tied to the flesh. Ironically this definition includes boundaries. The word for wall is chowmah, meaning a wall of protection. Throughout history, cities were built within the confines of high walls that offered people protection, security and safety. These walls provided boundaries to keep the good guys in and the bad guys out. Self-control mirrors that metaphor. Self-control is our wall of protection. Its borders guard and protect us from getting hurt or imposing hurt on another or by becoming polluted from sin. 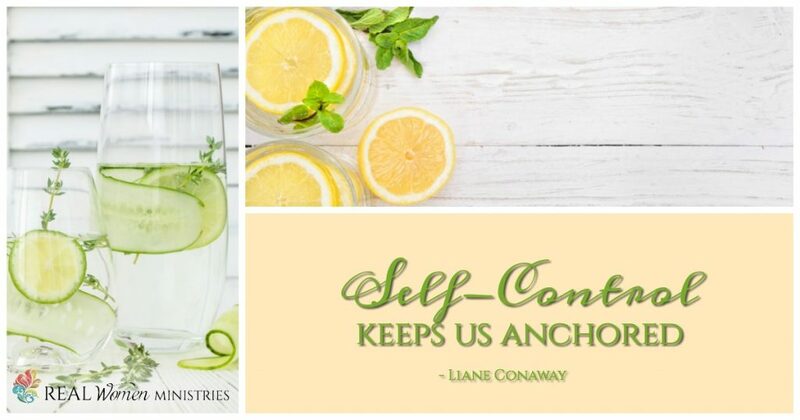 The other fruits of the Spirit keep us afloat while self-control keeps us anchored. The bounty of the Spirit’s fruit flourishes in the boundaries of self-control. In times of trial where hardship and hurt surround your heart, self-control, rooted in the Holy Spirit will protect you from hardness, bitterness and anger. A safe fortress amidst the chaos can be found in self-control. I resolve to live freely through self-control defining my boundaries. Love for my family is demonstrated through boundaries. I choose. I resolve. The Holy Spirit does the rest. May you give Him the opportunity to do the same for you. Father, press Your Spirit to dwell heavily within each of our hearts as we meet with you. Give us sensitivity to Him so that we can live freely within the boundaries created by self-control. May each of us resolve to choose You, to live in freedom of self-control. Amen. As a teacher and writer, Liane Conaway is thankful that God can use her brokenness to communicate God’s truth with authenticity and passion to offer Hope in the messiness of life. Another passion that drives her is her love for the Word of God. Over the last 21 years she has led numerous Bible studies desiring to encourage women to love the Lord with all their heart, soul and mind. Although Liane has spoken at numerous Christian events for women in her hometown, she hopes to spend more time ministering through speaking and writing after 13 years of homeschooling. 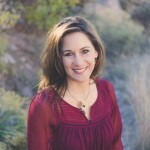 Liane is a team member and contributing writer at Real Women Ministries.